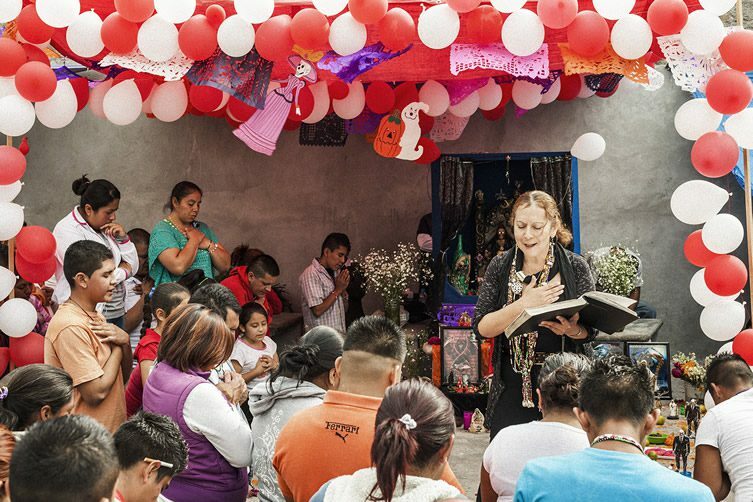 No one does death quite like the Mexicans, and no one documents the country’s unique and spooky folk spirituality like Angus Fraser. 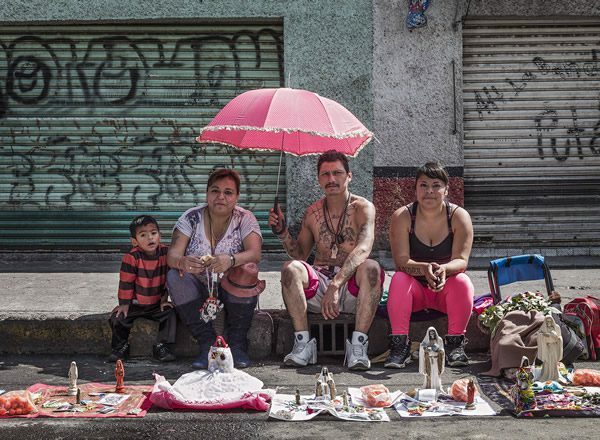 The UK photographer has scooped the inaugural Bar Tur Photobook Award for his Santa Muerte project, which saw the artist make a series of journeys to Mexico, beginning in 2011, to gain access to the shadowy world of the Santa Muerte cult. 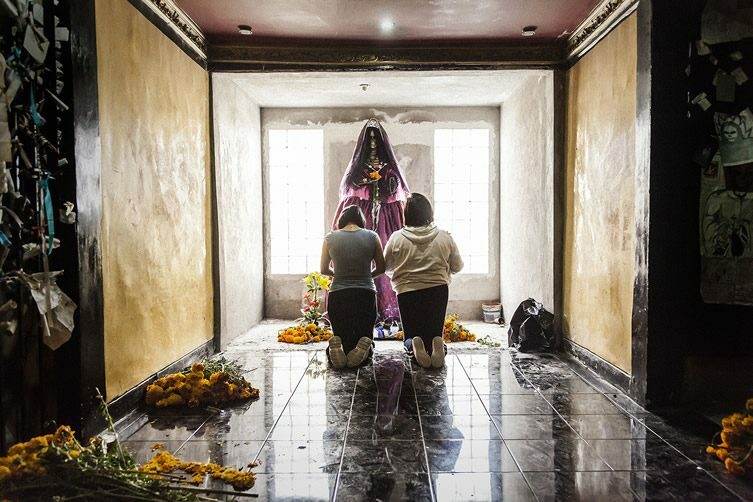 Unlike the widely-popular but unrelated Day of the Dead celebrations, in which families pay their respects to friends and family who have passed away, Santa Muerte centres around a female folk saint deity whose full name translates as Our Lady of the Holy Death. The robed figure is a sort of Virgin Mary crossed with a skeletal, scythe-wielding grim reaper, and her worship greatly upsets the country’s dominant Catholic Church which has branded the practices of the cult as “satanic”. Fraser’s book is divided into three sections; each one revolves around one of the three main characters he shadowed during his visits. 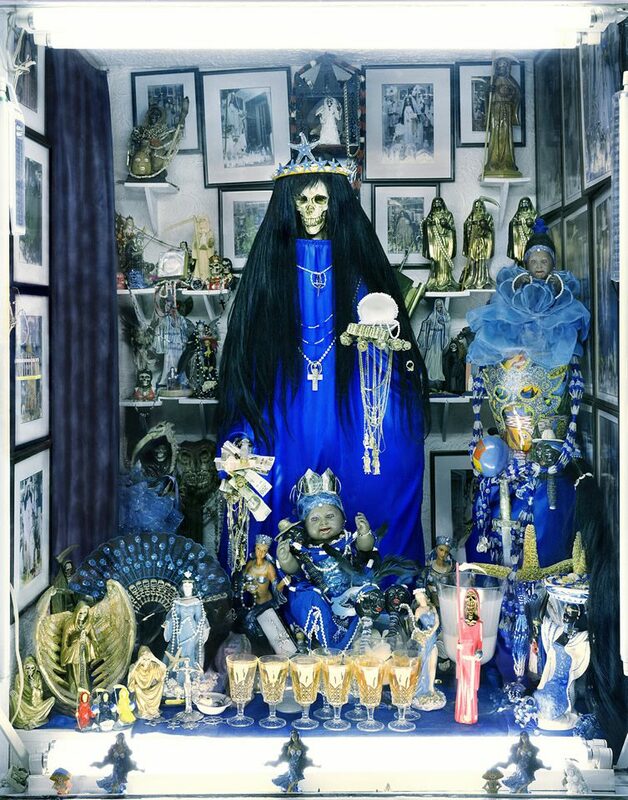 He sheds light on the rituals and worship of the religion, explores its community, and uncovers a surprisingly warm and welcoming people at odds with the perception of Santa Muerte among the wider population. The Photographers’ Gallery is hosting a launch night on 15 September for Fraser’s publication, which goes on sale the same day. 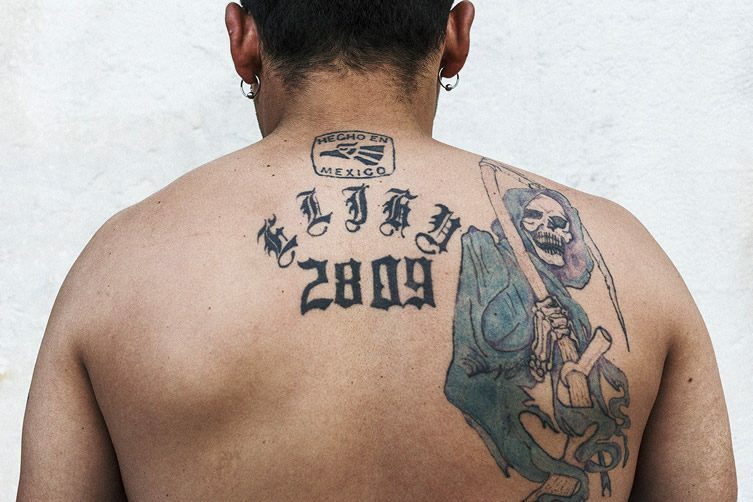 Santa Muerte is published in collaboration with Trolley Books and Amnon and Armon Bar-Tur. Angus Fraser. 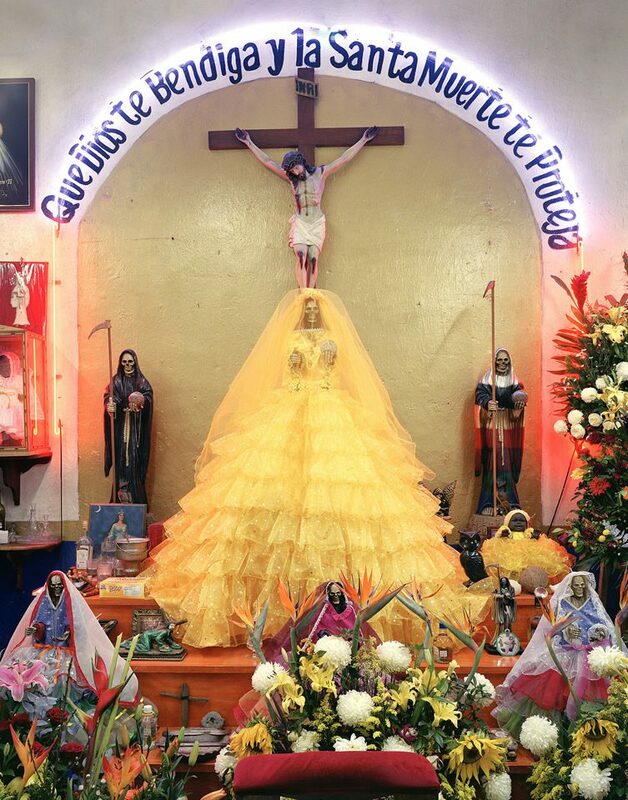 Prayers to La Nina Blanca (The White Lady), 2013. Angus Fraser. 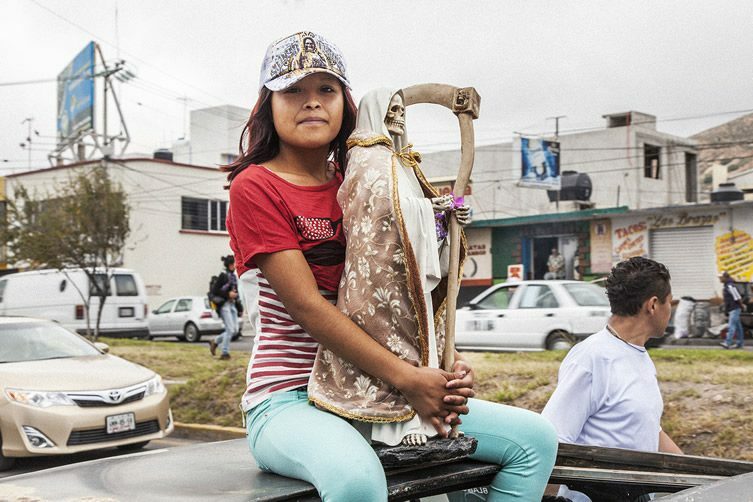 Young Santa Muerte Devotee on street procession, Pachuca, Hidalgo State, Mexico, 2013.